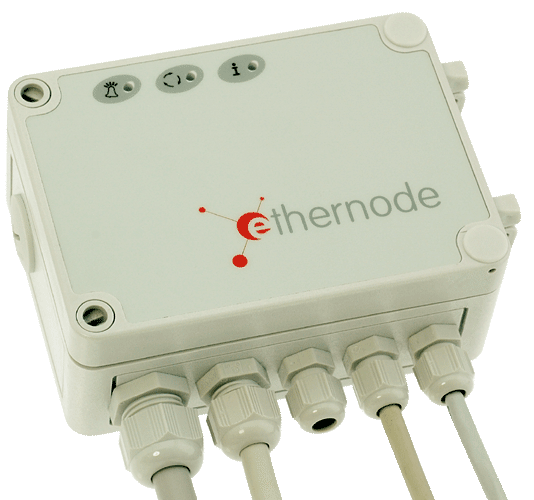 Relay ethernode® offers 4 digital inputs and 4 isolated contacts at the Ethernet as well as two serial interfaces an one optional LCD. To achieve really isolated outputs relays are still essential. ETH-A7-4I4R has got 4 digital 24V inputs on an optocoupler which interconnect when you a tension over about 18V. So you can use simple clamps which you admit 24V. These 24V are available at the cage clamp beside every input and they are feeded either by the external 24V power supply or - at the PoE option - by the Ethernet cable from the PoE switch. To achieve really isolated outputs relays are still essential. 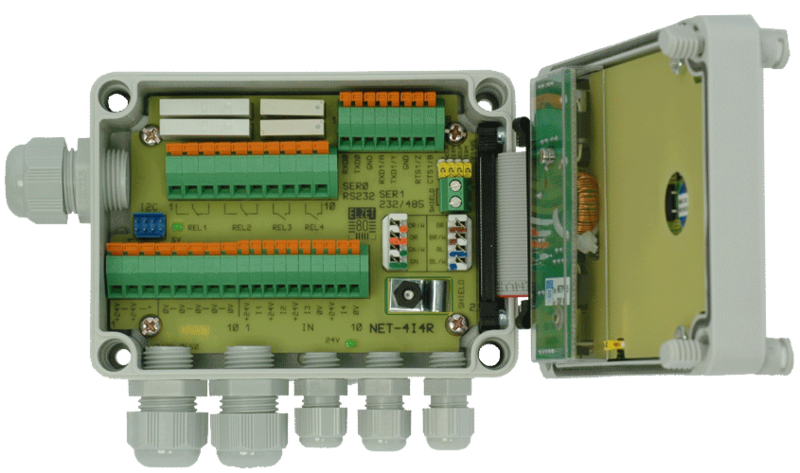 4I4R has got 4 relays and - for lack of space - only two of them are executed as changer. Since ethernode assumes that all clamps and users can be connected without intermediate terminal blocks, the needed clamps limit the space in the box. The two changers switch 6A at 24V d.c. voltage and they can work with voltages up to 60V. The sourcing capability declines explicitly down to 0,3A at 60V. At alternating voltage there is no loss of efficiency of the 6A up to the - for reason of isolation - maximum permissible tension of 48V. The two relays with closer are able to switch 3A at 24V d.c. voltage or up to 48V alternating voltage and they have at d.c. voltage a decline down to 0,25A at 60V. Local peripherals can be connected via 2 serial ports. 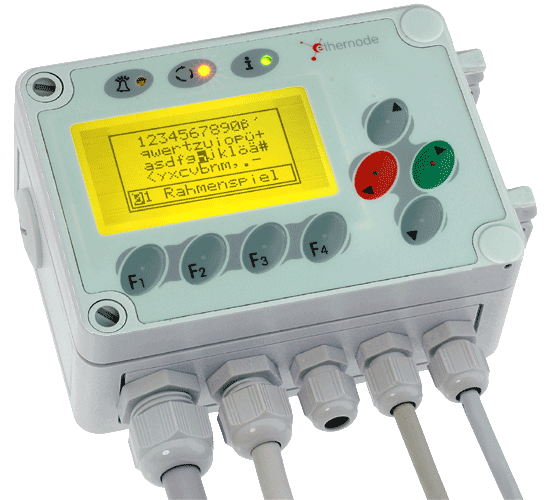 A fixed RS232 without handshaking signals, the second RS232 with handshake or RS485 full or half duplex. ETH-A7L is the LCD-version of EHT-A7 - with graphical display and function keys.